BlackBerry 10 has finally launched and the initial response is a job well done by RIM, now named BlackBerry to become one with their major brand label. There is still a long way to go for BlackBerry, but this is a good first start. The major factor BlackBerry needs is apps, and a whole bunch of them. Android and iOS show no slowing pace when it comes to developers, in fact, iOS is still enjoying a great amount of developers that want to make incredible apps for the service. For BlackBerry to keep up, there must be demand for their phone and developers willing to make BlackBerry 10 apps, not just ports. They need to be fully invested in the BlackBerry 10 experience and not in a remake of the Android app. 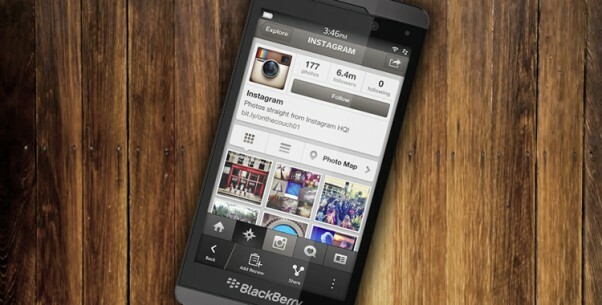 According to Crankberry, Instagram, the popular photo-sharing app owned by Facebook, will “definitely” be coming to BlackBerry 10. No official date has been set, but apparently Instagram and BlackBerry are working hard to get the app onto the store as fast as possible. Big third party apps are what all users want and none more-so than BlackBerry. For loyal fans, this is truly a step up in the game for them, to have a smartphone that rivals top Android devices and iOS, but still has the enterprise class BlackBerry is known for. BlackBerry started BB10 off with 70,000 applications, with a good amount of time and effort, they may be able to push that to 100,000. What they need now is buyers for their phones, to get developers interested and on board. At first look, many of the apps that are on BlackBerry 10 may be a little degraded and not made for the operating system, just ported on without any sense of the UI on BlackBerry 10. We hope that in the coming months BlackBerry get some solid third party apps on their store.